(Abu Dhabi) – Dr. Sultan bin Ahmad Sultan Al Jaber, Minister of State and ADNOC Group CEO, met with Hiroshige Seko, Minister of Economy, Trade and Industry, as part of a series of meetings, with government officials, business partners and customers, aimed at building on ADNOC’s long-standing energy relationship with Japan’s energy sector. During the meeting, partnership and investment opportunities, created by ADNOC’s Upstream and Downstream growth plans were explored, as well as the potential for the long-term supply of hydrocarbon products to Japan. 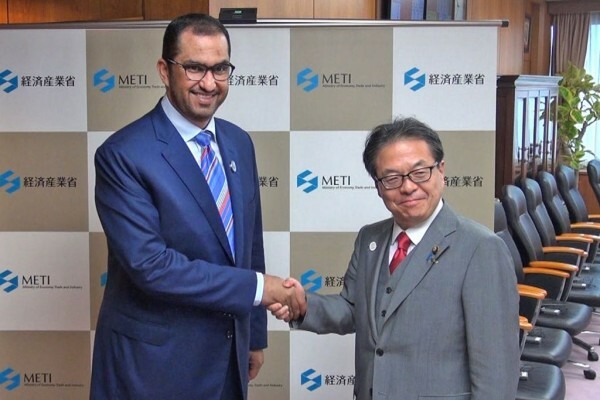 “For more than four decades, the UAE and Japan have enjoyed a deep rooted and successful strategic relationship, underpinned by long standing energy partnerships,” Dr. Al Jaber said. “ADNOC is keen to further strengthen the relationship, deepen partnerships and seize growth opportunities along the full oil and gas value chain. Dr. Al Jaber is scheduled to meet with the Chairman of Softbank Masayoshi Son; Toshiaki Kitamura, Chairman of INPEX/JODCO; Tatsuo Yasunaga, President and CEO, Mitsui and Hendrik Gordenker, Chairman of JERA. The UAE is the second largest exporter of crude oil to Japan after Saudi Arabia. In 2017, Japan imported AED57.3 billion (US$15.6 billion) worth of oil from the UAE, according to the Japan External Trade Organisation, Jetro. Nearly one third of ADNOC’s crude oil goes to Japan, accounting for 25 percent of its total crude oil imports. Other exports include LNG, LPG, Naphtha and Sulphur. In addition, ADNOC has 6.29 million barrels of crude oil stored in the Kiire Oil Terminal Strategic Reserve, in southern Japan. In February, Japan’s INPEX Corporation was awarded a ten percent interest in Abu Dhabi’s offshore Lower Zakum concession. At the same time the company’s 40 percent stakes in Abu Dhabi’s Satah and Umm Al Dalkh concession were extended for 25 years. JODCO Lower Zakum Limited, a wholly-owned subsidiary of INPEX, has been appointed the asset lead for the Lower Zakum concession. 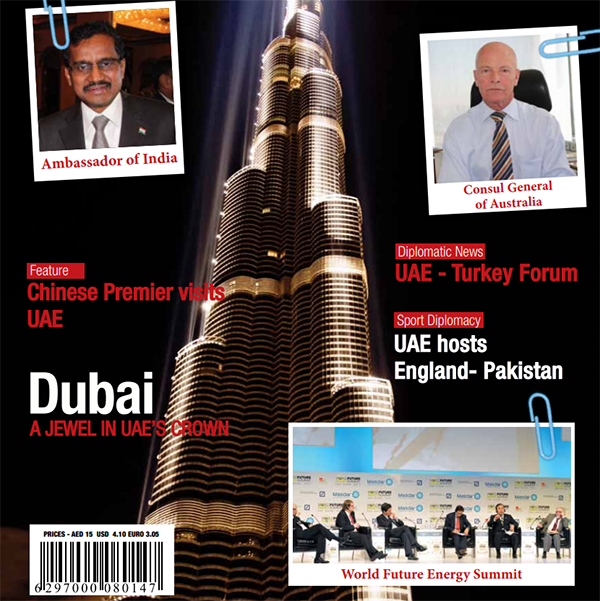 INPEX is one of six Japanese companies working to develop Abu Dhabi’s hydrocarbon resources. 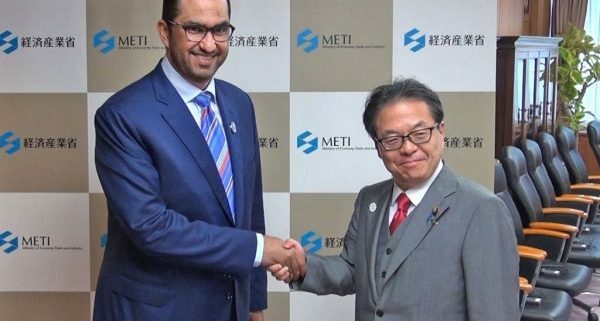 Mitsui, has a 15 percent stake in ADNOC LNG and Cosmo Oil has a 64.2 percent stake in the Abu Dhabi Oil Company, along with JX Nippon (32.1 percent), Kansai Electric (1.9 percent) and Chubu Electric (1.9 percent).